We’re offering our readers a 10% discount on all Edwards And Co. Education Workshops purchased before the 25th December. Use code JOURNAL10 to secure your place! Edwards And Co. are kicking off their 2019 Education Schedule with an Open House Launch alongside a host of new classes, new faces and a couple of big surprises. Get ready to join the movement. Want to master the art of freehand hair painting? Looking to up your skills in styling? Listen up hair lovers… the team at Edwards And Co. have your educational needs covered, with a tailored class, workshop or in-salon program to suit just about any concentration and/or experience level. Housing a mix of the country’s most pioneering hair colourists and stylists, Edwards And Co. perseveres as Australia’s leading hair agency; a favourite among clients and industry insiders alike. With founder/director Jaye Edwards at the helm, this namesake empire has grown to encompass six salons, a thriving digital presence and an ever-expanding education schedule. Launched in 2016, Edwards And Co.’s diverse education programs offer professionals of varying levels the opportunity to learn, grow and absorb the rushof the salon group’s movement, with courses covering all aspects of the trade from client consultation, planning and future proofing the hair journey, colouring and styling techniques to business and staffing, creating a salon culture and effective social media practice. On the agenda for 2019? 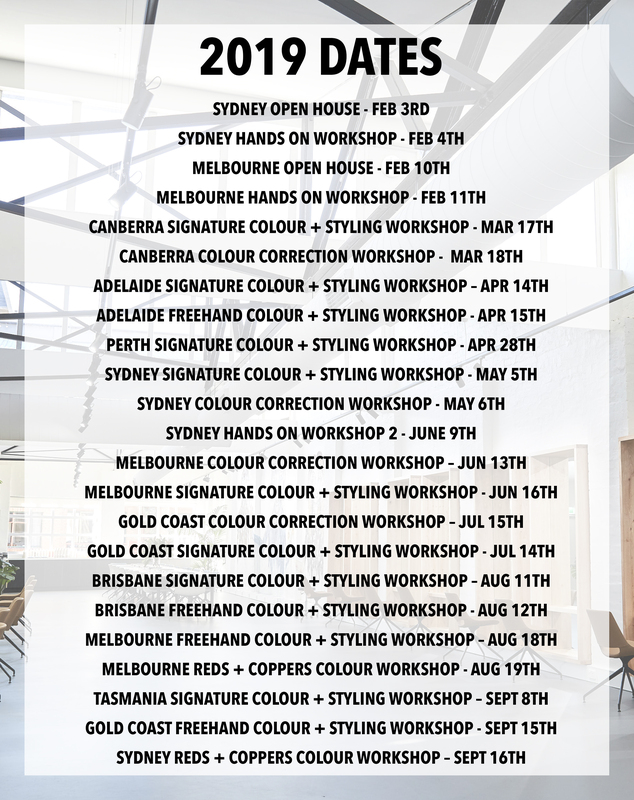 An array of new (and amped up) workshops, classes and private training programs led by Edwards And Co.’s team of experienced colourists and stylists including Jaye Edwards (Head Colourist and Founder), Michael Kelly (Director of Education), Torie Cee (Colour Educator) and Charlie Gauci (Styling and Colour Educator) as well as new recruits Sara Lim and James Plain. Open House: Featuring six live educators showcasing a wide variety of techniques and skills, the Open House Workshops will unlock more value than ever before. The day structure will run as an open forum, meaning participants can move around the room freely and choose who they would like to watch, absorbing as much knowledge as possible. Each educator will showcase multiple looks throughout the day on several models. The team will cover the techniques used daily to create seamless, future proof colour-work, styling looks, extensions, cutting and creating perfect pictures for Instagram. Open level experience. Signature Colour and Styling: Participants will experience first-hand the signature looks that have captivated the attention of an international audience. Here participants will be introduced to the home grown techniques of Jaye Edwards and his education team. 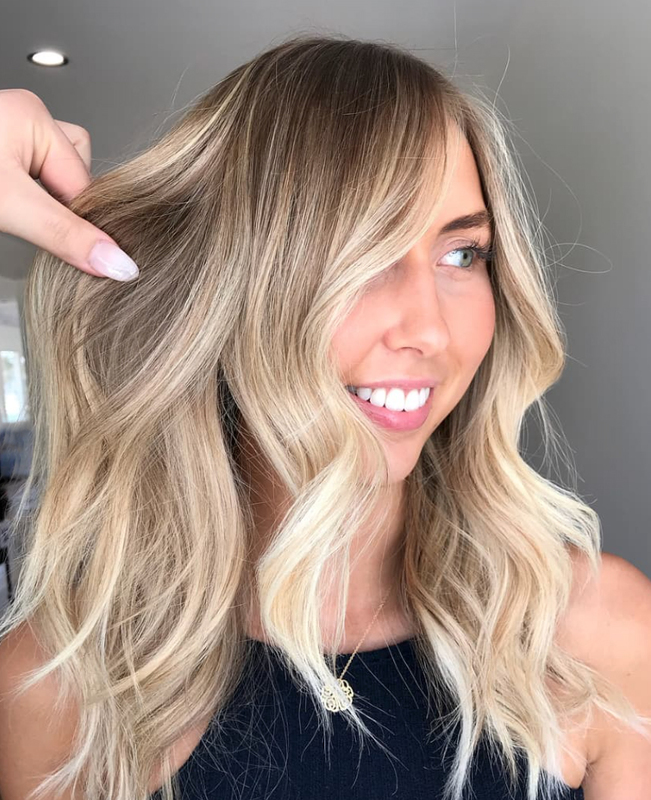 Participants will also have three live models learning real time techniques on freehand balayage, brunette to blonde and over lightened blondes to lived-in and future proof blonde. Open level experience. Colour Correction Specialist Class: This workshop is designed for colourists who have a yearning to master the art of colour correction. In this workshop, participants will see educators colour the hair of three live models, transforming hair disasters into dream hair, in just one sitting. The goal is to demonstrate simple and effective approaches to combat problematic hair. The class will also cover lightening for hyper sensitised hair, banding and brassiness, removal of mineral build up in blondes and many additional techniques. Minimum four years’ experience required. Freehand Colouring: This class focuses on the art of freehand painting. Here educators will demonstrate three live models with varied freehand techniques. Participants will be walked through achieving the perfect sun-kissed colour in a step-by-step format. Educators will demonstrate Parisian balayage, finesse balayage and heavy hair paint techniques. They will also advise on when to isolate with cling wrap vs foil, when to use cotton wool, processing to desired undertones and zone toning to achieve the perfect blend. Minimum four years’ experience required. Edwards And Co.’s 2019 Education Schedule commences Sunday February 3rd with the first Sydney Open House. Visit https://edwardsandco.com.au/ to secure your spot.